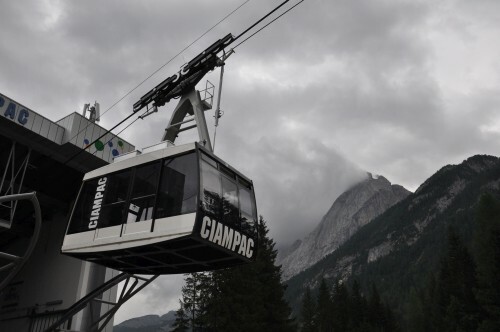 The two new cabins, replacing the old ones, lead the guests from Alba (1487m) up to an elevation of 2100m. 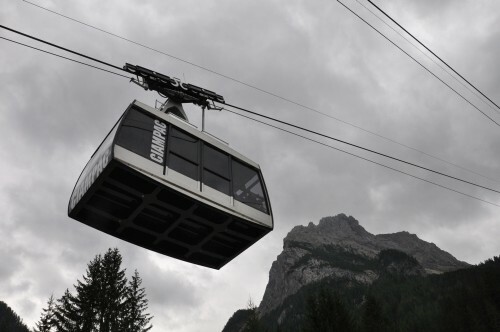 The Aerial Tramway overcomes a length of 2000m with a maximum gradient of 61%. The travel time for one distance is approximately 7 to 10 minutes. 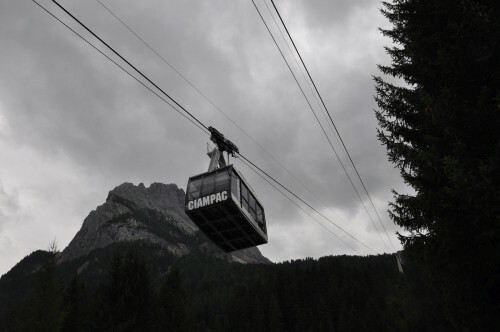 For the Aerial Tramway Ciampac the old cabins were replaced by new ones, however the cabine hanger of the old stock remains for the near future. The static design of the new cabin is based on a number of 75+1 persons.